Home / FAQ / What is Medicaid health insurance? Medicaid is the state run health care program for low-income individuals and families. While this program is run by the states individually, both the states and the federal government fund it. Enter your zip code in the box now to compare health insurance rates! How is the Medicaid health insurance program handled by each state? This health insurance program was formed in 1965 through the Social Security Act. Each state runs its own program, but the federal government monitors these programs. The federal organization that monitors the Medicaid programs is the Centers for Medicare and Medicaid Services. Some states choose to combine their Medicaid program with private insurance providers. Even though having a Medicaid program is voluntary, all 50 states have chosen to have some version of the health insurance program since 1982. This program does not just provide health care coverage, but also dental coverage and prescription drug coverage as well. Many people get Medicaid and Medicare confused because of the similarity between the program’s names. Medicare is a program especially designed for the older American population. Everyone over the age of 65 is eligible for the Medicare program. In addition, some disabled people and those with end stage renal disease are able to enroll in the program. Part A is hospital insurance, which covers the costs of hospital and hospice care. Part B is medical insurance that pays for regular doctors’ visits and routine medical care like any other health insurance plan. Part D is the special prescription drug coverage plan that rounds out the Medicare program. Since older people tend to take multiple prescription medications this coverage saves them a lot of money each month. While Medicare is meant specifically for the elderly, Medicaid is available to certain low-income people that cannot afford adequate health care on their own. It is important to remember that not all low-income people are able to get Medicaid and the eligibility requirements vary by state. The Medicaid program covers two groups. These two groups are mandatory eligibility groups and optional eligibility groups. The mandatory eligibility groups are the groups that are covered by all of the states and cannot be denied coverage. The optional eligibility groups are groups that might be eligible for coverage in some states, but not in others that the states are not required to offer coverage. 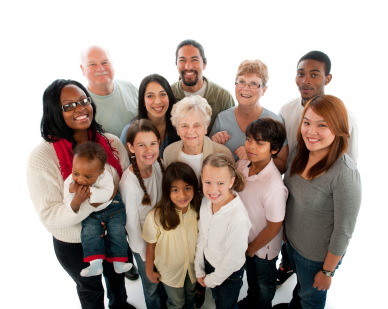 Examples of mandatory eligibility groups include low income families that have children, people that are receiving Supplemental Security Income, children in low-income families even if their parents are not qualified for the program, people that receive foster care and adoption assistance, and low income women that are pregnant. The pregnant women may receive Medicaid throughout their pregnancy, but not be eligible for continued coverage after their child is born. Why is the Medicaid health insurance program important? This health insurance program is very important because everyone, even the poor, deserve to have access to adequate healthcare. By allowing these groups access to preventative healthcare, the state and federal government are allowing them the opportunity to fix small health issues before they get out of control. While some complain about the costs of these types of programs, they actually save the government money in the long run. Since preventative healthcare keeps certain conditions from getting out of control, they can be dealt with before they become too expensive. Compare health insurance quotes today by simply typing in your ZIP!